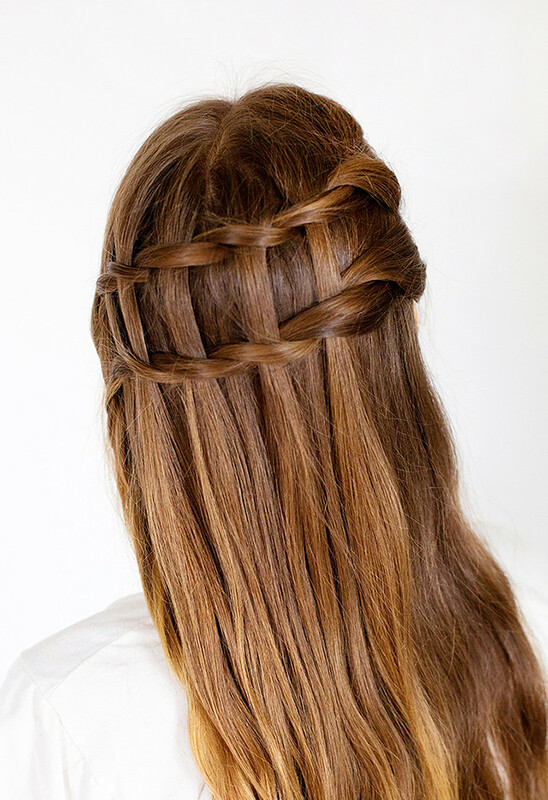 I shared two hairstyles-- a textured summer braid and a double waterfall twist. 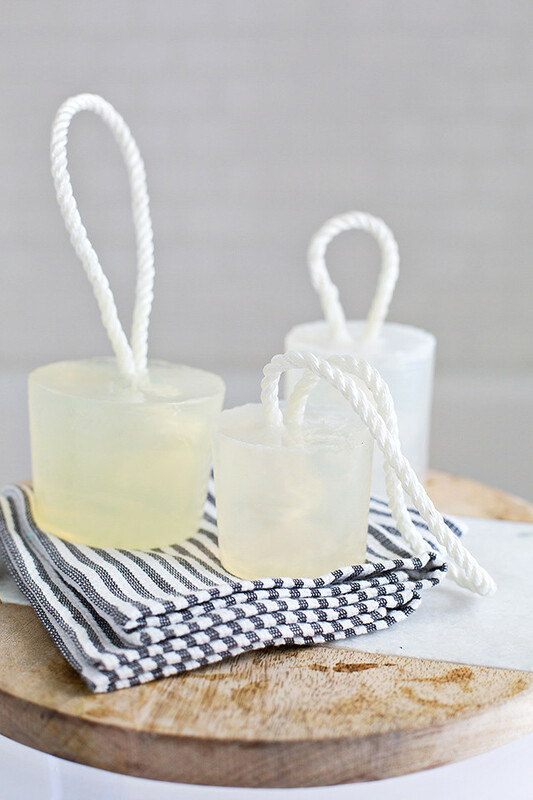 I had a good time making some soaps on ropes. We are still using these at home-- so cute and they smell SO GOOD! Last but not least, I shared a fun way to spice up your wardrobe! 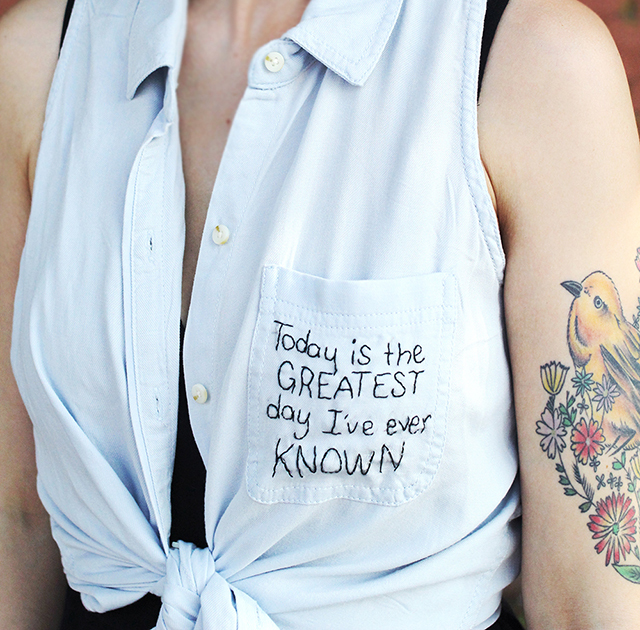 I love this embroidered shirt-- it makes me happy every time I wear it! 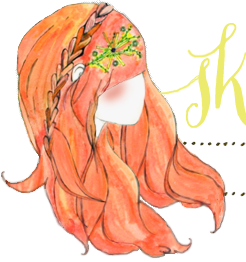 I have lots more in store this month, including some great new hairstyles and fun projects! Happy July! xo. I forgot about the soap on a rope! It's so cute. Your braid tutorial saved my poor, dry, summer hair. 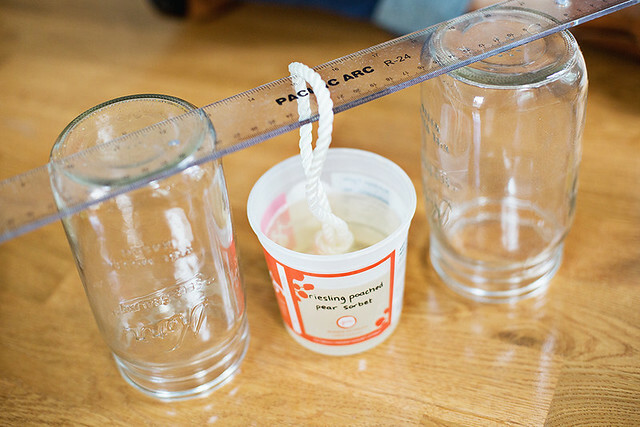 I love the soaps on ropes! I love the braids! Especially the first one. So cute. Love the embroidered shirt. A great way to share fave song lyrics.